Are PII and CMP Hardball guns basically the same, other than beavertail , safety etc? I understand. But in general same gun? They may put more work on accuracy and trigger. 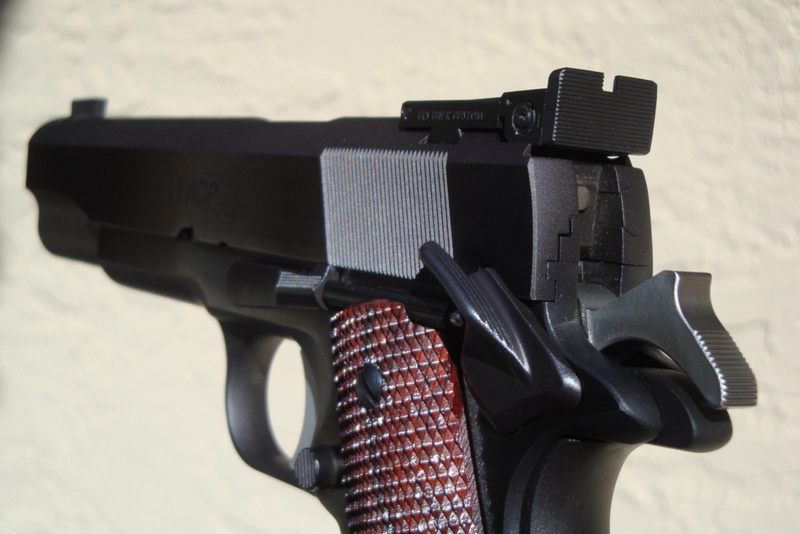 I had a Concept III which looks just like a PII with a stainless lower, I then got a LB wadcutter frame mount. The wadcutter had a better trigger and came with a test target just over 1.5", the standard guns don't even come with test targets. Sheriff1962 wrote: I understand. But in general same gun? One isn’t built any different than the other. They are les bare. If you want opinions on them search the forum. The accuracy specifications for the "basic" versions (non 1 1/2" guarantee option) of each of these two models are different in theory (a five shot group for the PII and a ten shot group for the National Match). I own both and feel that in practice they are the really the same. Both "could possibly" take you to Master (given the correct load, your skill and the luck of not buying a dog). All that being said, while I have several Les Baers that are tack drivers (and have remained so for many years), my National Match was a p.o.s. and had to be rebuilt (barrel, trigger, etcetera) by Jon Eulette. It's now easily my most accurate M1911.